What Fresh One Live Is? 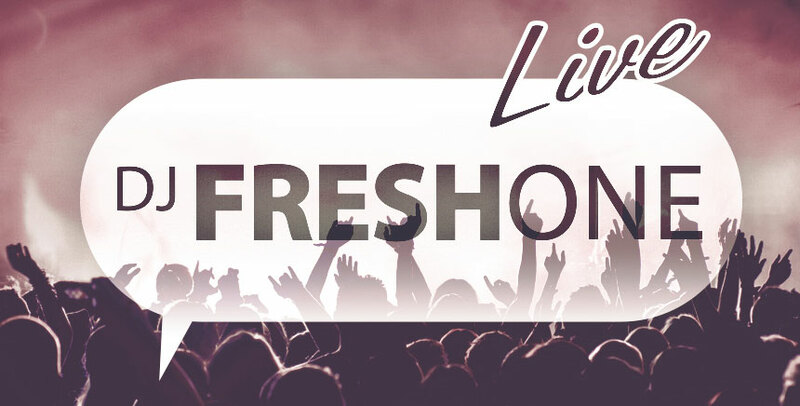 Fresh One Live is the new nightlife experience from renowned DJ / Producer Fresh One. Fresh One Live brings the excitement and thrill of one of his live performances to you, the listener, at home, at work, or even while you're at the gym. With performances at some of America's top nightclubs, festivals and venues from across the nation such as Slide (SF), Smashboxx (Scottsdale), Vanity (Las Vegas) and many others, Fresh One Live showcases the amazing live energy and performance of a Fresh One show. These mixes are brought to you direct on this unique downloadable platform. With consistently updated mix's, new releases, events and more, Fresh One Live promises to be a highlight development to come from one of San Diego's most sought after artists. Fresh One is the true definition of a professional DJ and Producer. As one of the founding members of Sleeping Giant Music (SGM), Fresh One’s passion and full-time profession is music. As a result of his consistent crowd pleasing performances and dedication to his craft, Fresh One not only holds residencies at many of his hometown, San Diego’s, premiere venues but also consistently tours throughout America. He tours frequently performing throughout the country in cities such as Las Vegas, Miami, Scottsdale, and Los Angeles, as well as performing internationally. Sharing the stage with such names as Flo-Rida, LMFAO, The Cataracs, Dev, FM, and Mix Master Mike, Fresh One has solidified his reputation as a skilled and acclaimed DJ. Make sure to stay tuned with all the news from Fresh One Live. Special events, new mixes, releases, and collaboration mixes are coming to you soon. Fresh One Live: Bringing the hottest live mixes to your headset.